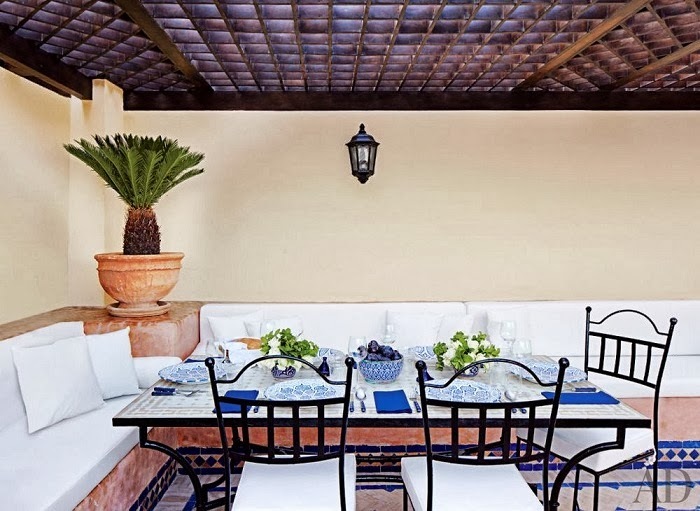 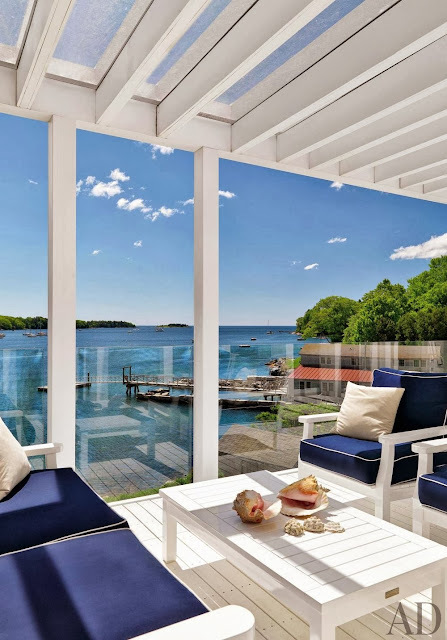 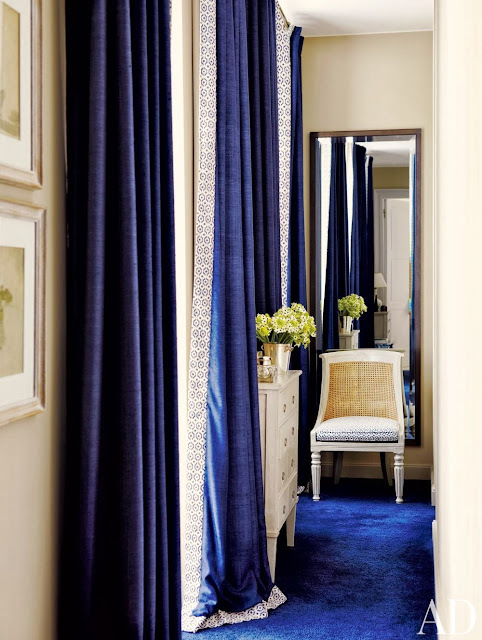 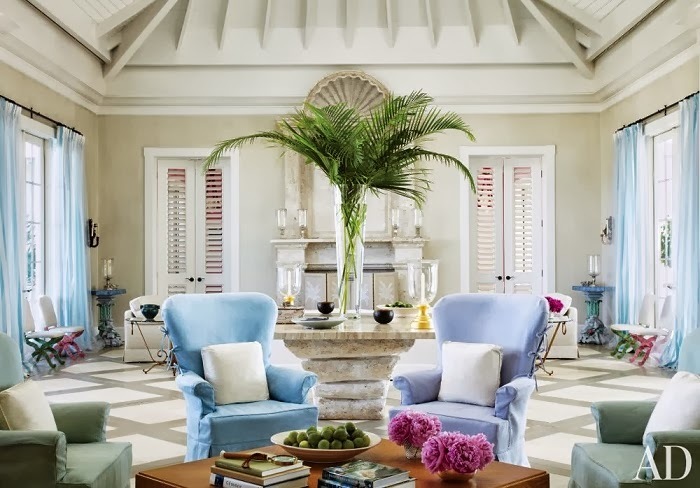 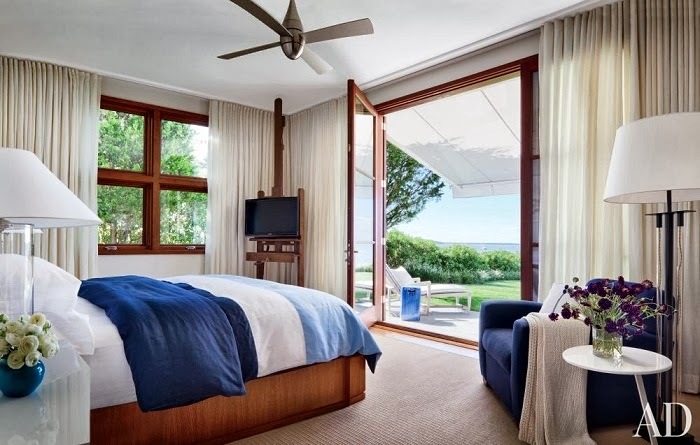 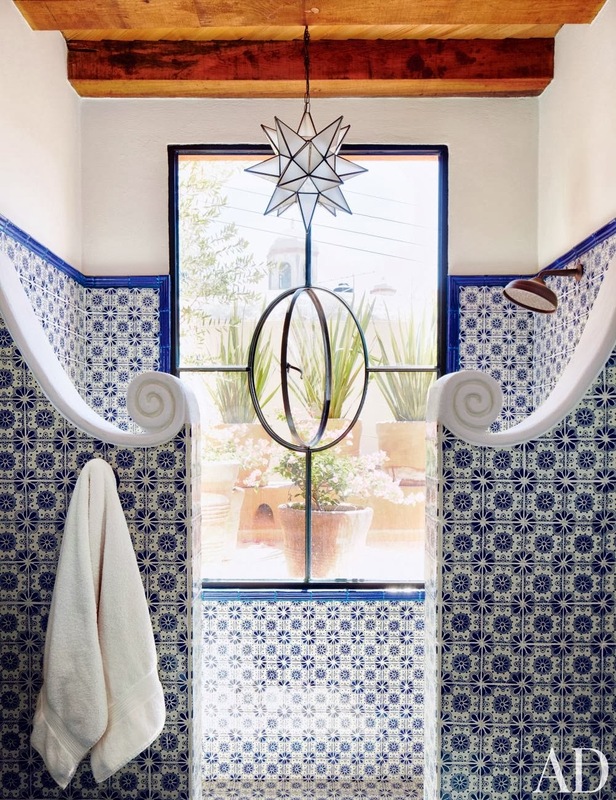 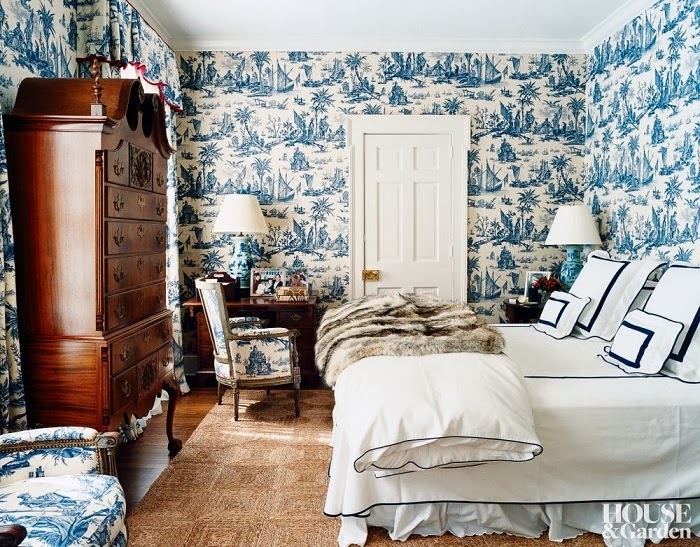 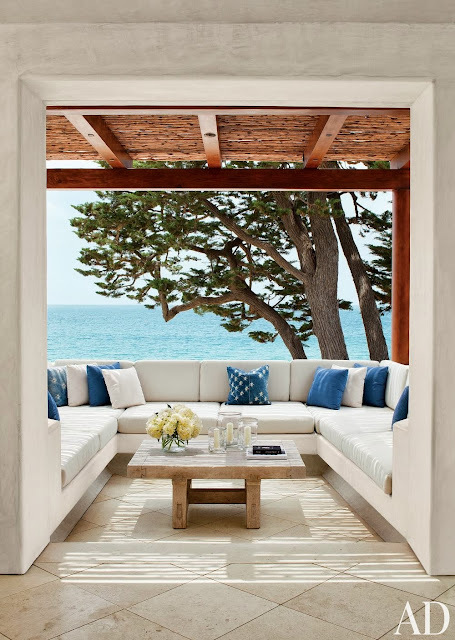 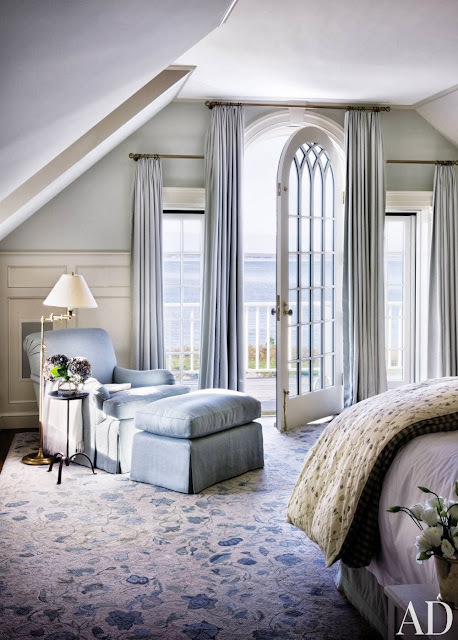 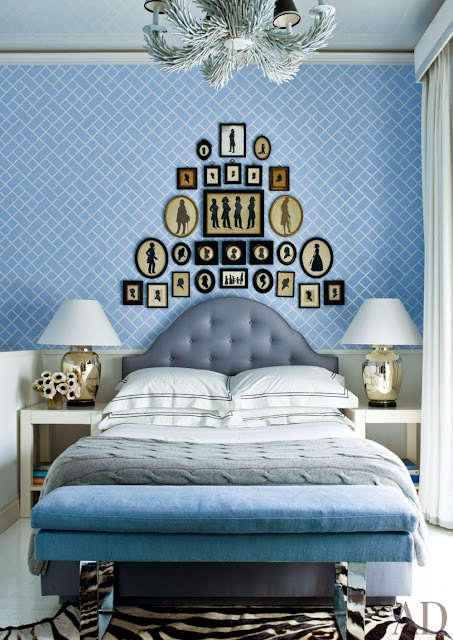 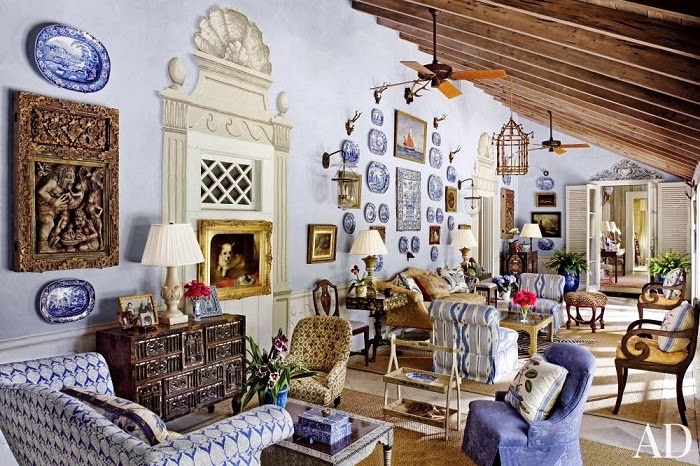 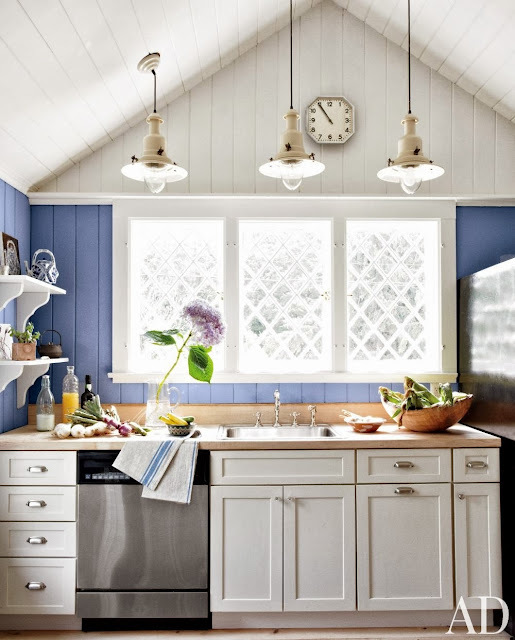 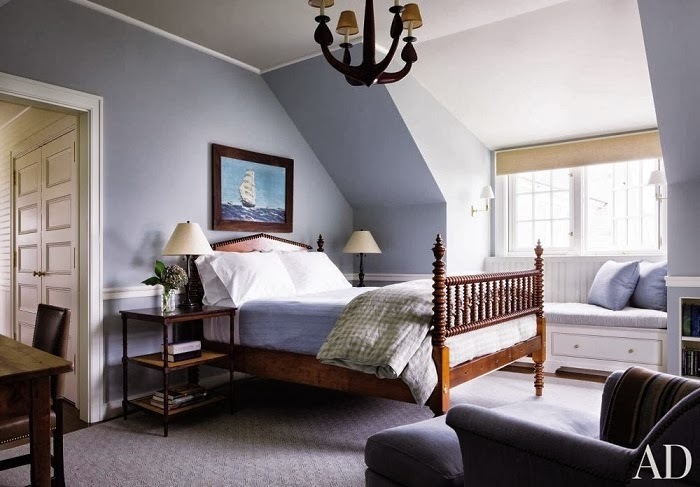 Mix and Chic: Gorgeous blue and white rooms! 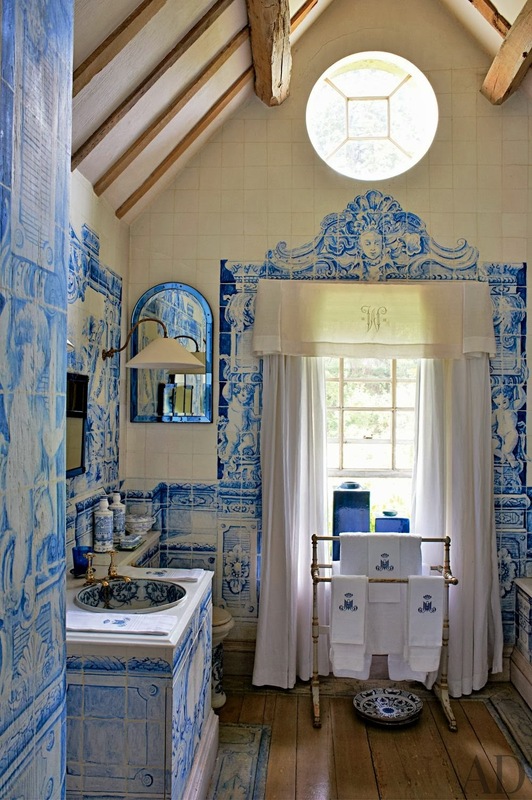 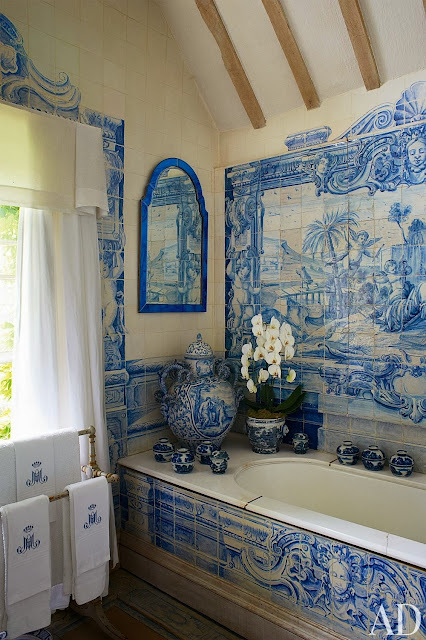 Portuguese tile murals send me into paroxysms of glee. 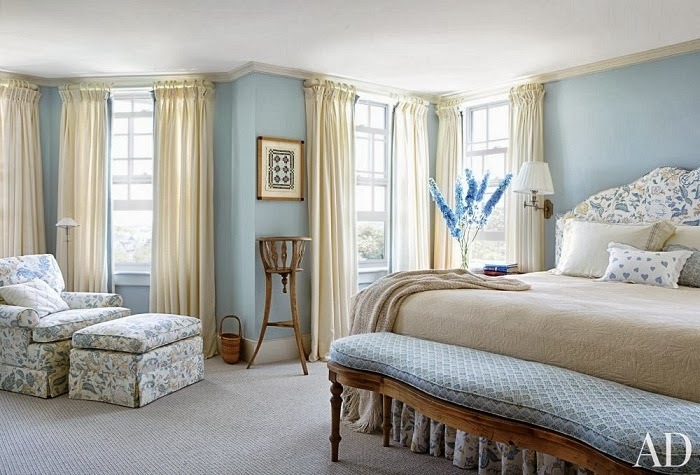 Lovely color combinations! I especially love the blue tiles in the first two pictures! 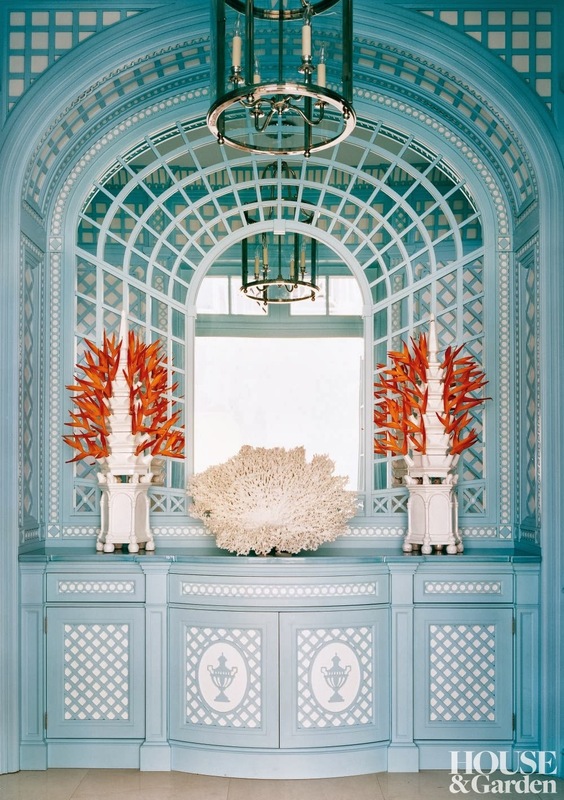 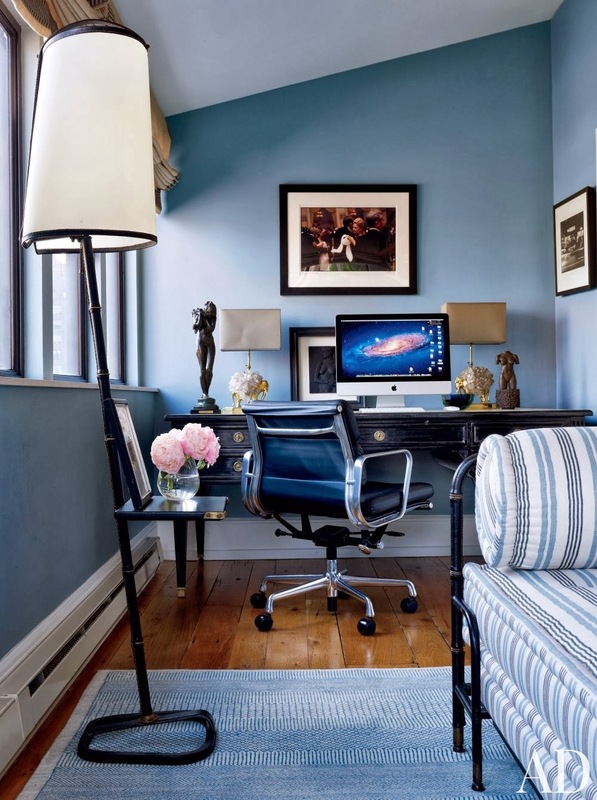 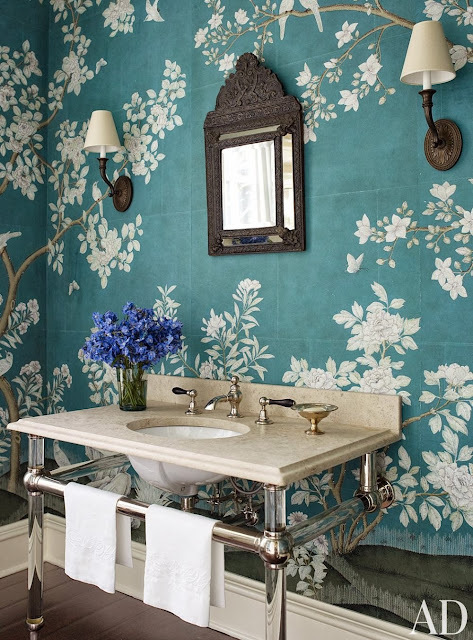 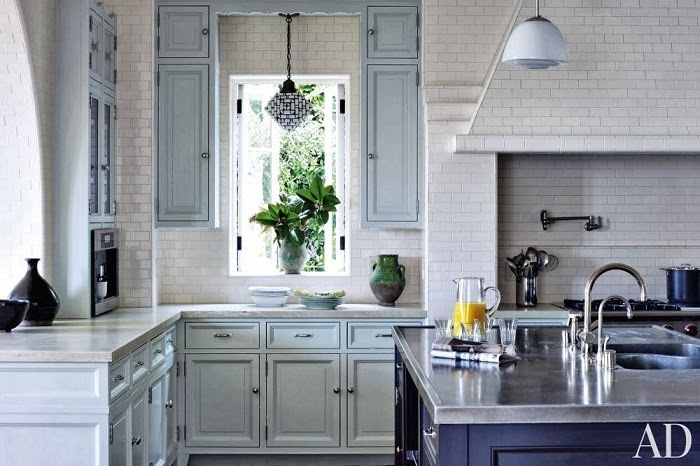 Great examples of how a cold blue color can have a warm effect.